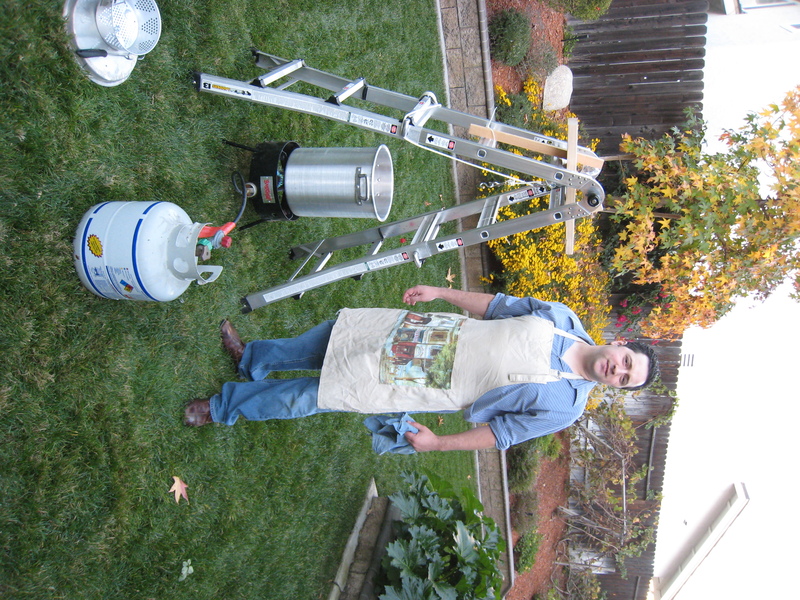 So you think you want to Deep Fry a Turkey for Thanksgiving? I salute you! A deep fried turkey is the most flavorful and juicy cooking methods to handle these massive land birds. Deep Frying a whole turkey is relatively easy, but also easy to f%ck up and when I say F*ck Up!, I mean 3rd degree burns, house fire and crispy poodles. Now I don’t want to scare you away from deep frying a turkey, as you will never go back to a regular oven baked turkey ever again! After following these instructions, you will be able to safely deliver a juicy fried feast to your family and friends without 3rd degree burns. 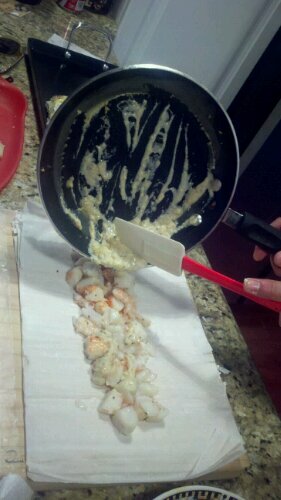 What happens when you dont follow instructions! Turkey Nuclear Meltdown! This method I am about to teach will require a little extra work, but your beast of the barnyard will not only make it to your table in one piece, but so will you. Did I mention that your dinner guests will treat you like a hero and will hoist you over their shoulders in celebration. Woot Woot! 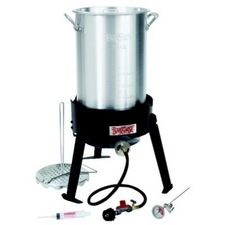 The set should include the burner apparatus, deep fryer pot, basket or turkey mounting perch, safety lift hook, deep fry thermometer. Flavor Injectors or Au Natural? Many deep fry sets come with a food grade hypodermic needle to inject sauce into the muscle tissue of the meat. There are mixed thoughts on this process. 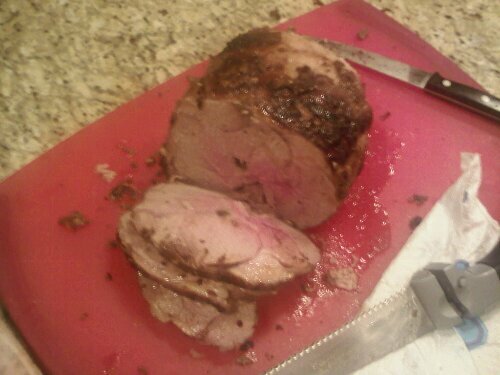 I have tried this technique, as it does infuse of flavor into the core of the meat. Although here are a couple of things to consider. First, you are introducing a little bit of safety hazard as injecting the bird with extra sauce will add uncontrolled moisture to the party, which can result in issues. Second a deep fried turkey’s flavor is in a near pure state, which can only be summoned by a deep fry exorcism. If you inject Mr. Tom Turkey with sauce, then you are tampering with his natural flavor profile and instead you will be tasting Mrs. Sassy’s Secret Sauce. I vote Yes to Turkey and NO! to artificial injections. After all we are worried about the suppleness of its meat and crispiness of its skin, not injections like it’s a middle-aged housewife of the O.C. 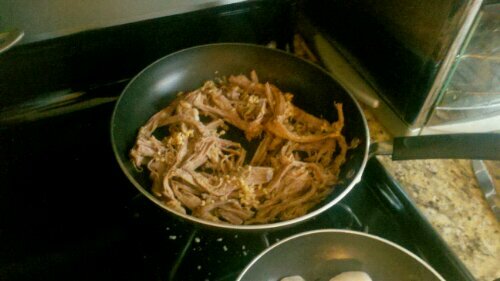 If you insist, be sure not to use a smooth sauce with no particles as it will get clogged in the needle. Just saying from experience. 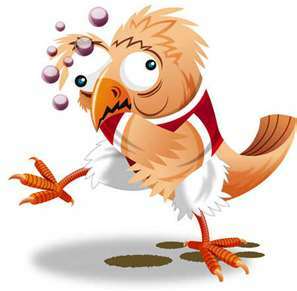 First, remove all packaging from the bird, including plastic wrapping, metal clasps in the turkey, plastic thermometers. Also be sure to reach inside the turkey and remove all packets, hearts, gizzards and whatever other goodies you find inside. If you like the internal organs or neck, good for you, but set it aside you will not need it. Second, reach your fist deep inside the cavity like you are a fake proctologist and feel around for signs of frozen meat at the bone level. Next, push down on the breasts; if anything is firm it’s not a breast implant you are feeling, that is a frozen section. If you come across frozen sections don’t worry, it can be remedied by running cold water through the cavity via the kitchen faucet. If you want to be sure, I highly suggest using an instant read digital thermometer to take some temperature readings. I suggest you insert the thermometer into the breast via the inside cavity. If the meat is reading 32 Degrees (+/- 5 degrees) then keep running cold water through it. Third, let your turkey rest at room temperature for a couple of hours before the deep fry. 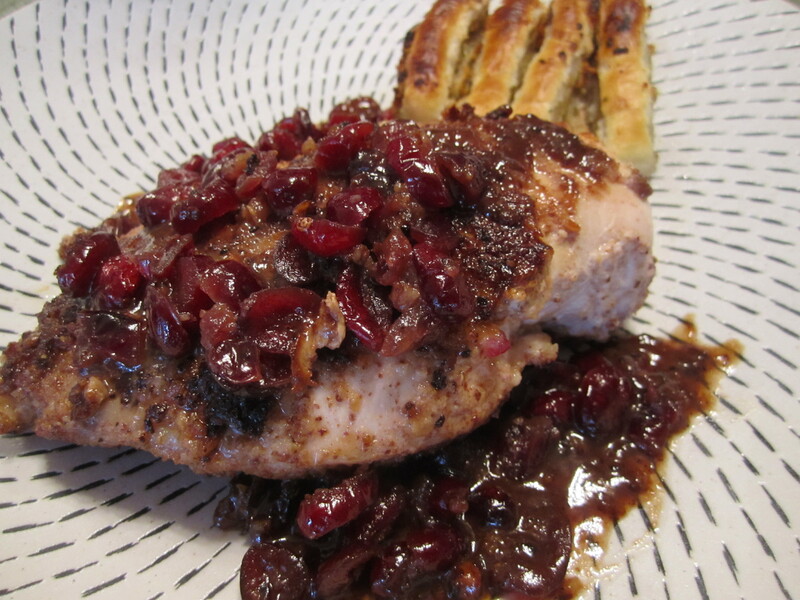 This step is a judgment call, as you will have to balance food safety and the perfect turkey. Allowing the turkey to rest at room temperature will allow the temperature of the turkey to rise. Why would I do this? 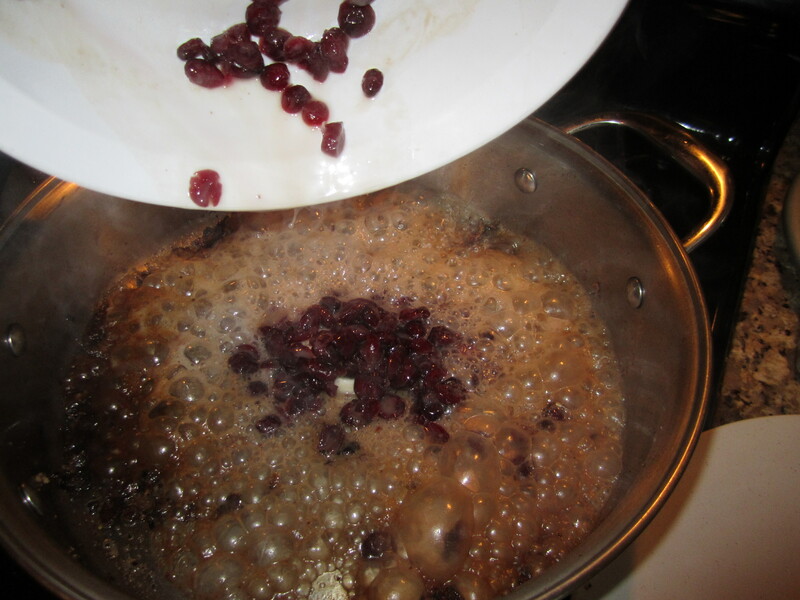 Simple, if the turkey is really cold, it will also cool down the boiling oil, resulting in a longer cooking time. 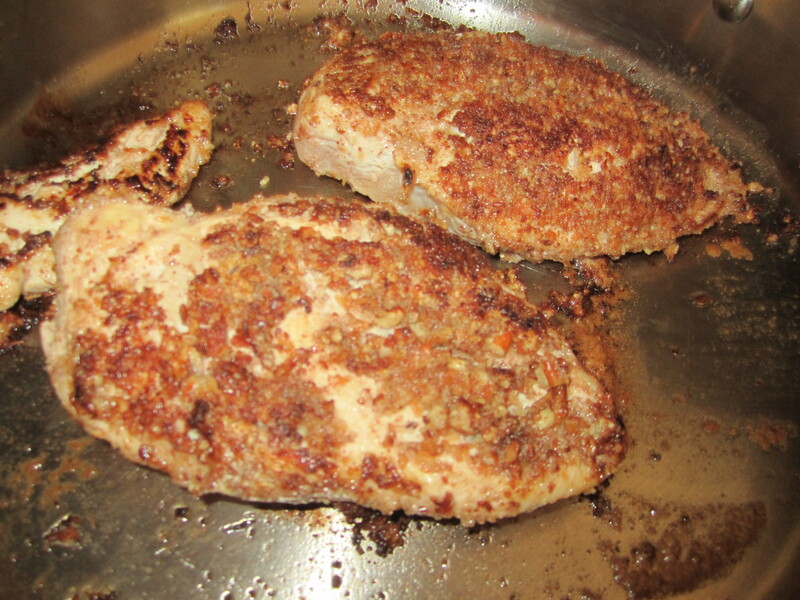 By extending the cooking time, you are going to get a darker (if not burnt) skin. In addition, if the turkey is very cold, it will result in the oil cooling so much that the turkey will not seal and allow oil to permeate the muscle. On the other side of the coin, letting poultry sit out at room temperature takes the meat into a danger zone that is ripe for bacterial growth. What is the middle ground? Use only clean and sanitized surfaces to let the turkey rest, wash hands EACH TIME before and after handling raw meat, keep the turkey covered and away from animals, kids, insects and the meddling Aunt Mable. 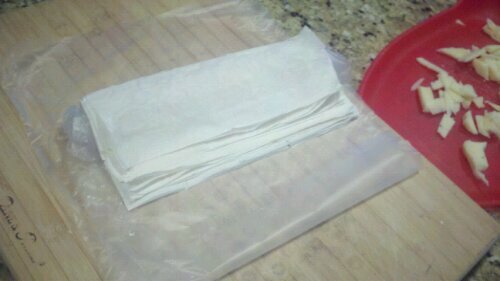 I place the resting turkey in a large container and cover it with paper towels. I would let the turkey warm up to at least 55 degrees. Place the turkey on its perch. This will either be a metal basket or a contraption that looks like a perforated base and a hook popping out. If you are using a perch, slip the hook up from the rear end through the neck (up yours Mr. Turkey), so that the turkey is “sitting” on the perch. Next, place the perched turkey into the pot. The turkey is used to measure how much oil is needed. Next, fill the pot will hose water (yes do this outside, it will get messy), until the top of the turkey is completely covered with water, plus 2 inches. Next, lift the turkey out of the pot and let all the water drip back into the pot. Important step! Make a mark how high the water is AFTER the turkey is removed. This water line mark, will tell you how much oil you should place in the pot. AGAIN, measure the water line after the turkey is removed. This is a big rookie mistake that I have made almost every year. 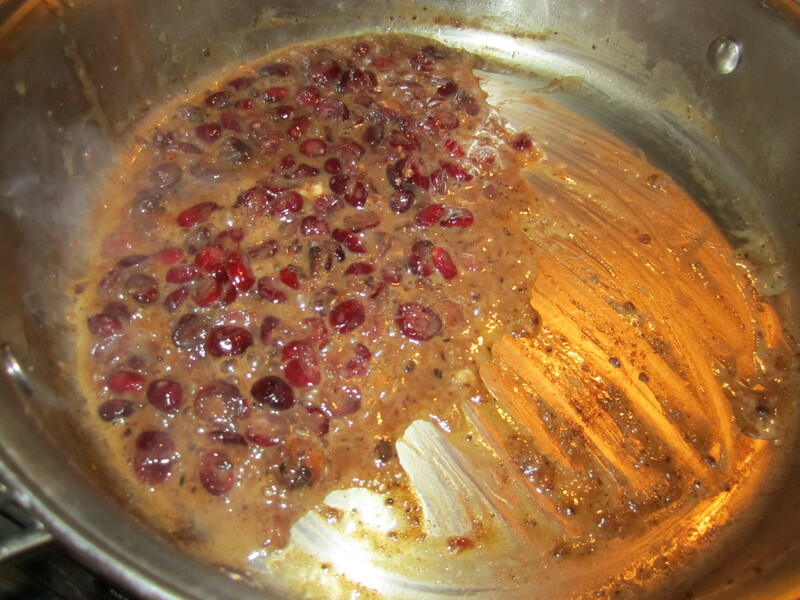 Next fill the pot with oil, up to the line you marked; do this step now or you will forget. It is time to warm up the oil. IMPORTANT!!! Set up the burner at least 20 feet away from any structure (including your house). Yes it is common for deep fried turkey experiments to go horribly wrong, so be smart and keep the deep fried fun away from anything that can catch fire. In addition, place the burner on a flat area, preferable on grass or dirt. Never set up your burner in the house, on a wooden deck, or right next to the house. Also be sure to place your fire extinguisher near your deep fry station, just in case things get out of control. Place the pot of oil on the burner and then turn the burner on to high. 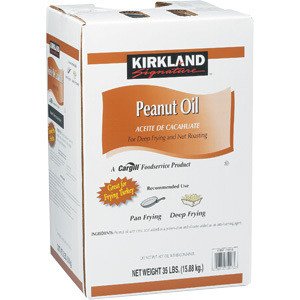 The goal is to get the oil to 325°F and no higher than 350°F. Either you can use the thermometer included in your deep fry kit or purchase a candy thermometer. Depending on the starting temperature of the oil, this heat up period can take from 30 minutes to 45 minutes. While the oil is warming up, this is a good time to season the turkey. If you have to leave the fry station to season the turkey, be sure to leave someone there to monitor the oil. Never leave hot oil on the burner unattended!!! Especially if there are kids or pets around. 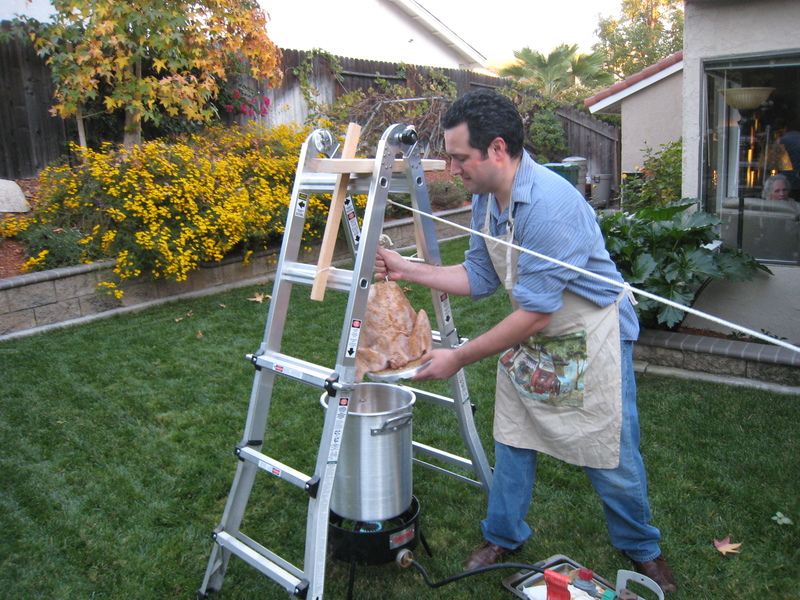 Although using a safety hoist is not a mandatory step, it is a lot safer than lowering a turkey into scalding hot oil at crotch level (think about this for a few minutes). The day before, you will want to assemble your safety hoist. You will need some rope, a pulley, a hook and a carabiner and a ladder. 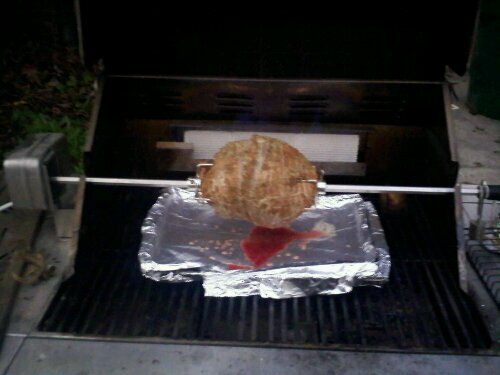 The goal is to create a pulley system that will allow you to lower the turkey into the oil from a distance. I personally attached the pulley to a 2×4 segment and strapped it to the top rung of a ladder using zip ties. If your ladder has a top step (platform), then I recommend bolting the pulley into the top step. I used a carabiner to connect the turkey holder (perch) to the pulley system. This set up allowed me to slowly lower the turkey into the oil without fear of burning my kiwis. The Deep Fry Stud Tom Holmberg, from Tom's Foodie Blog, showing off his Deep Fry Rig. He is ready to deep fry a turkey and talk about myself in the 3rd person. I tie up one end of the rope while I secure the turkey perch hook to the carabiner. When everything is hooked up the Turkey is ready for a hot bath. Lowering the Turkey into the Deep Fryer! 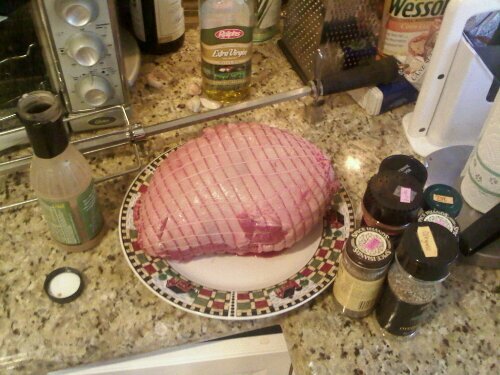 Now that I know I am playing it safe, it is time to summon the inner Beavis and Buthead and deep fry a turkey!!! The goal is to VERY slowly lower the turkey into the boiling oil. If you lower it too fast, then the oil WILL overflow and fly everywhere, thereby causing a chain reaction that ends with a fire volcano in your backyard. No Bueno! So my advice is to lower the turkey 2 inches every 30 seconds, until the turkey hits the bottom of the pot. This is always my favorite step in the process. The sound created when you first lower the turkey is very loud and a little bit intimidating to watch…if not just a little exciting! If you are a guy, this step is the equivalent of watching a fight at a NASCAR crash or the fight scene of a Bruce Lee movie. If you F&*@ Up this step, congrats your video will make it on YouTube, under “deep fried Turkey Disaster.” I will secretly laugh at you. After the turkey is lowered in, I tie up the rope and constantly monitor the temperature of the oil to ensure it does not exceed 350 degrees. Adjust the burner to keep oil temperature between 325 -350 degrees. When your set time has elapsed or the breast reaches 170 degrees. Hoist the Turkey out, tie off the rope securely, and use the retrieval hook that came with your kit to secure the bird while you unclip it. A second person is highly recommended for this step. When the turkey is done, slowly hoist the turkey out of the pot and tie up the rope to the ladder, so that it is very secure. Use the recovery hook, provided with your kit, and secure the turkey and move it away from the pot of hot oil to a nearby work station. Next, unhook the turkey and place it in a serving platter, cover it with heavy-duty foil and let the turkey rest for at least 10 minutes. 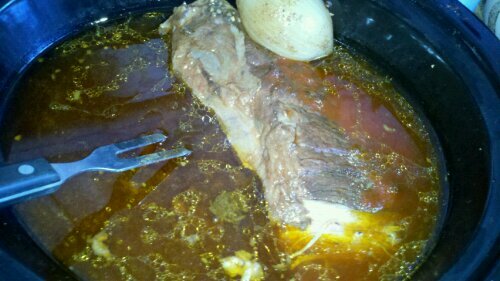 This cool down period will allow the juices to pull back into the meat. 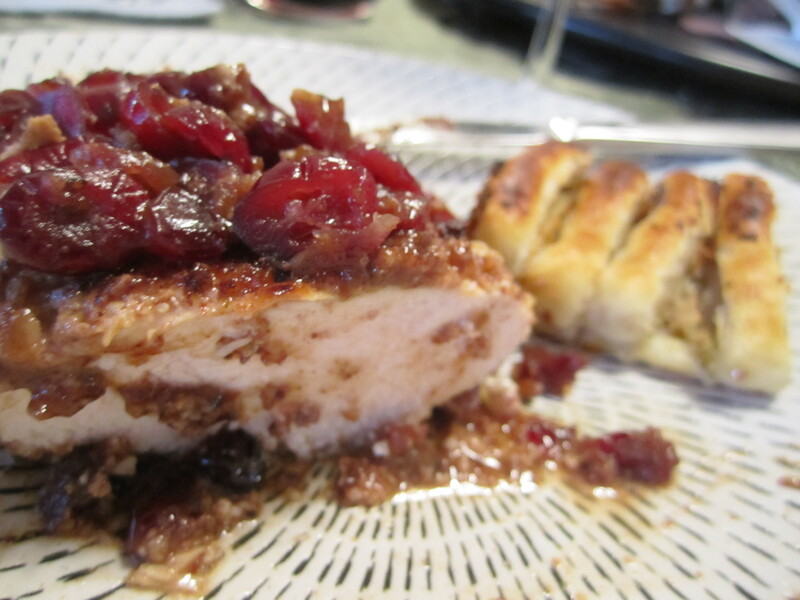 If you cut open the turkey right away, the juices will just be lost on the cutting board. Winning! 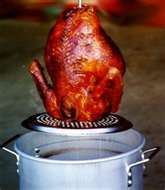 Your Deep Fried Turkey will have a nice mahogany skin, juicy flesh and will fall off the bone. 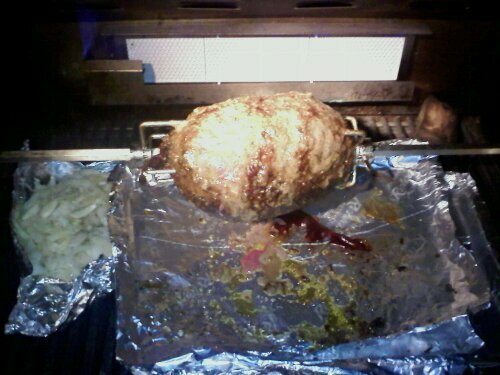 Don't you wish your turkey was hot like mine! 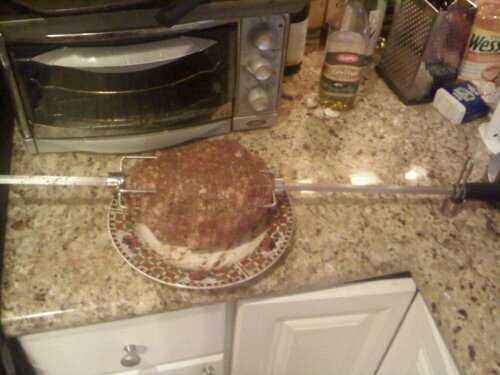 I guarantee you will be the hero of the dinner table! 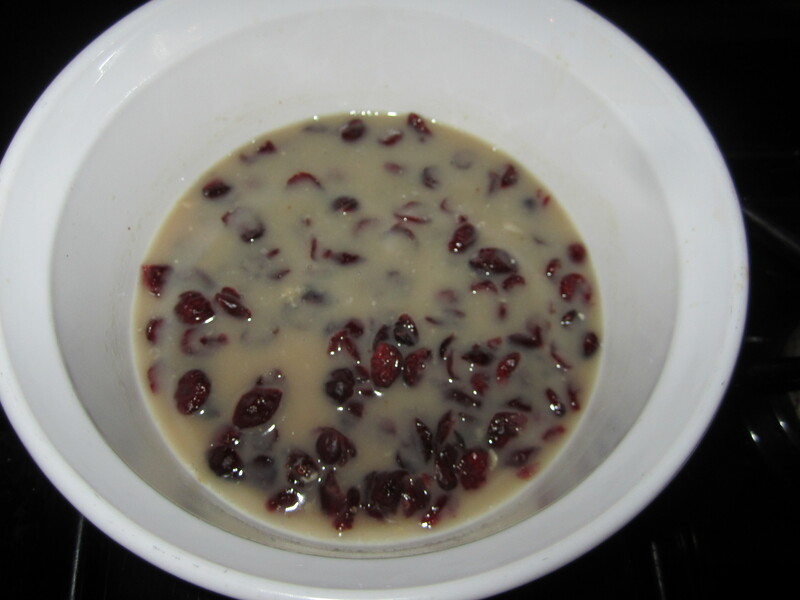 Let the oil cool down, preferably overnight. Using a funnel pour the oil back into its original container and dispose of it according to your local trash disposal ordinance. My city allows us to through it in the trash, as long as it is in a closed container and clearly labeled as “used cooking oil.” Don’t be douche and dump the oil down the sink, toilette, garden, or storm drain. Good Luck with your deep frying adventures! Tonight’s cooking experiment gets its name from the famous fictional Boxer Rocky Balboa, who famously gets the pulp beat out of him in every movie, but still manages to win each of his matches. You may be asking your food blogger right now, why would I name a fish dinner after one of the best 80’s movie franchises? 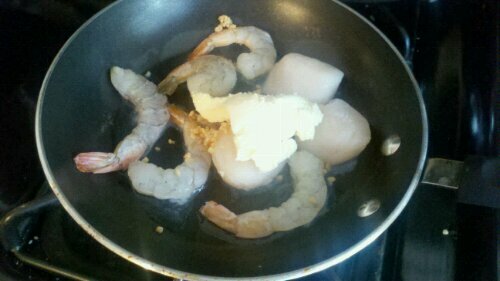 Because it’s a cheap ploy to get you to read my food blog 🙂 Just kidding, in all seriousness I made this fish recipe out of Rock Fish, a white fish commonly found of the shores of New York (close to Philly) and a Blue Cheese for the Sauce. Still don’t get it? Well then, I suggest you rent Rocky 4 where he goes against the Sasquatch Russian named Roko and his hot wife, Natasha or something like that. In this awesome sequel, Boris beats the crap out of Rocky and leaves the Italian Stallion black and blue. 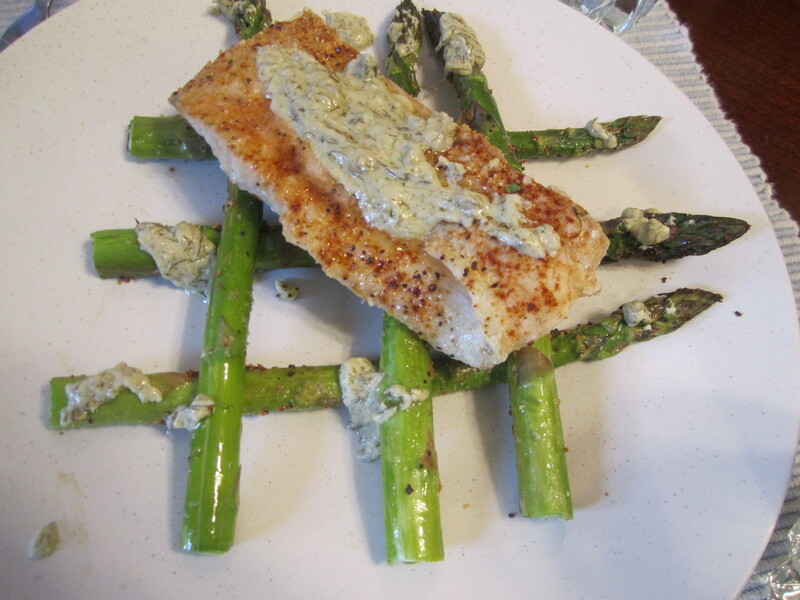 This recipe features Rock Fish, blue cheese, and Italian Cream Cheese and some asparagus spears. First step is trimming the asparagus base about 1/2 inch and coat lightly with Olive Oil and season with pepper, salt, garlic powder and fresh squeezed lemon juice. 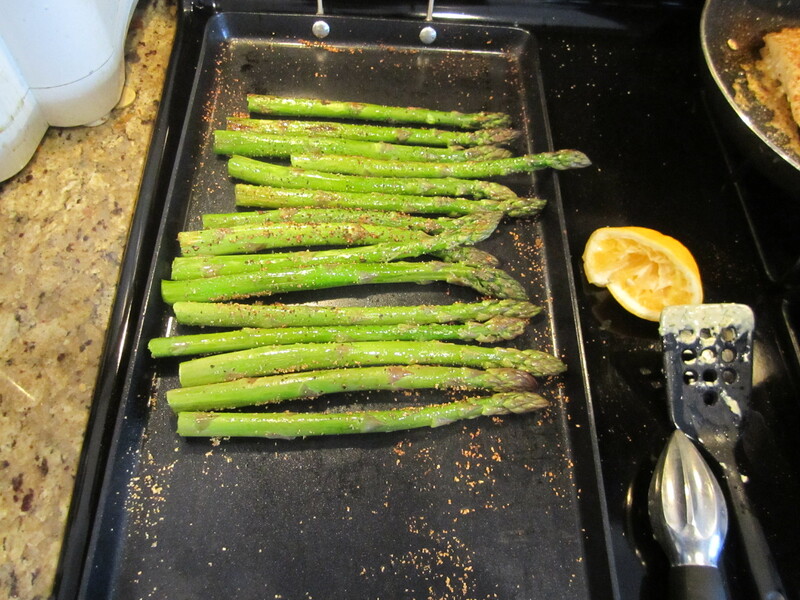 Next, warm up the griddle medium low and then place the asparagus to slowly cook on one side for 8 minutes, until heavily browned. 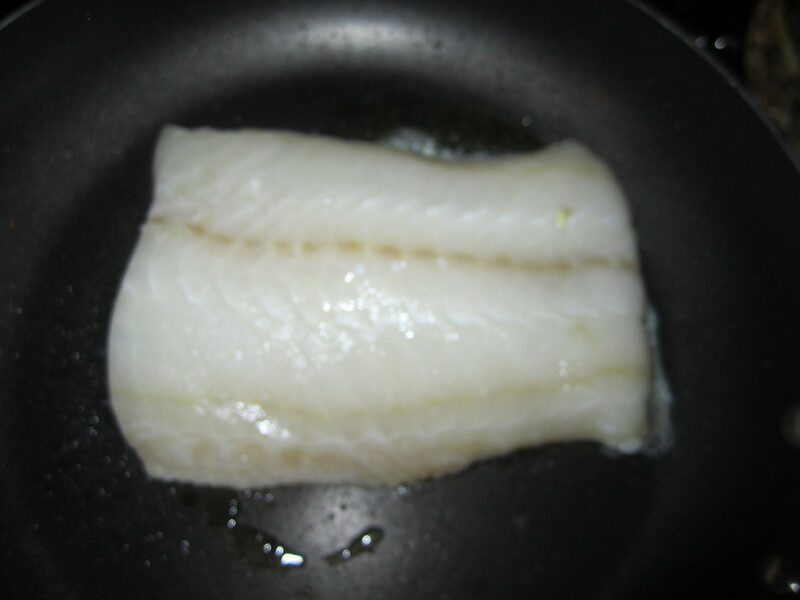 saute pan on high with olive oil and place the rock fish on the extremely hot pan. 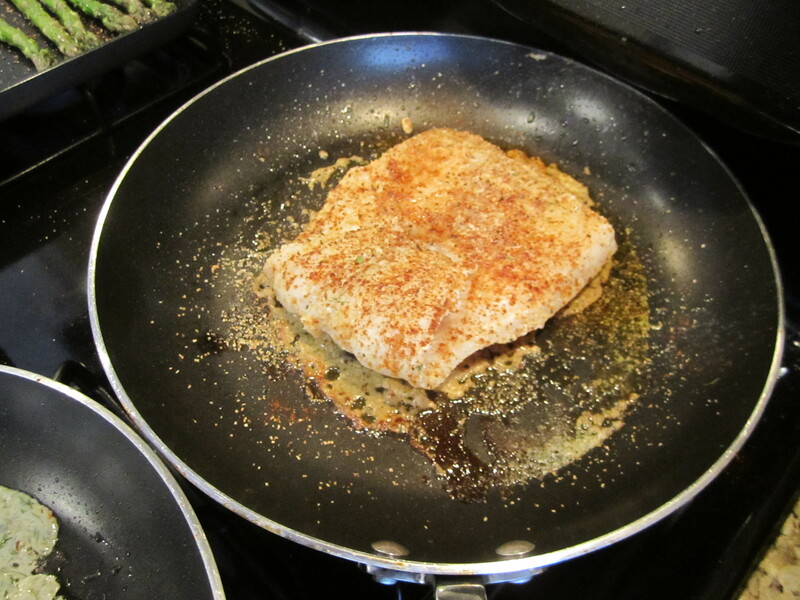 As the fish sears, season the flip side with paprika, garlic powder, salt and pepper. Flip the fish after 4-5 minutes and repeat the seasoning process. Let cook on a lower heat for another 8 minutes. Cheese (or make your own with your choice if Italian herbs and plain cream cheese). 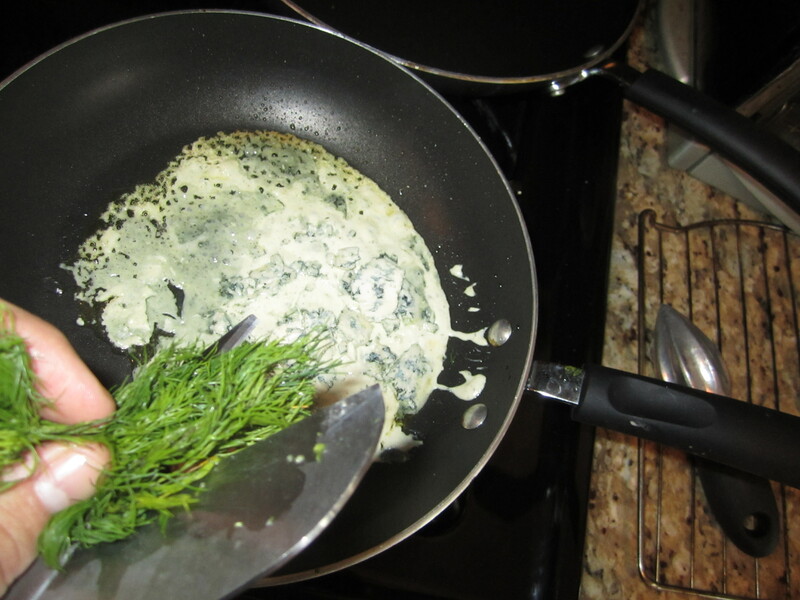 As it melts in the pan, add thin slices or crumbles of fresh blue cheese, and dill. 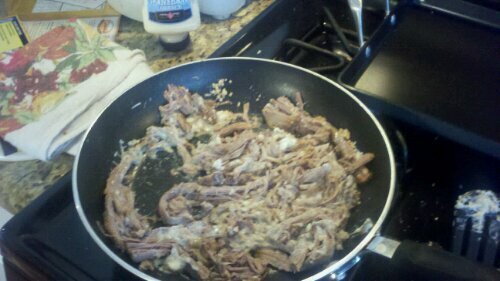 Once the cheeses melt in the pan, mix in lemon juice to taste (3-5 tablespoons) and then the OJ, about 2 tablespoons. The Lemon juice and OJ matches the fish and reduces the punginess of the blue cheese. 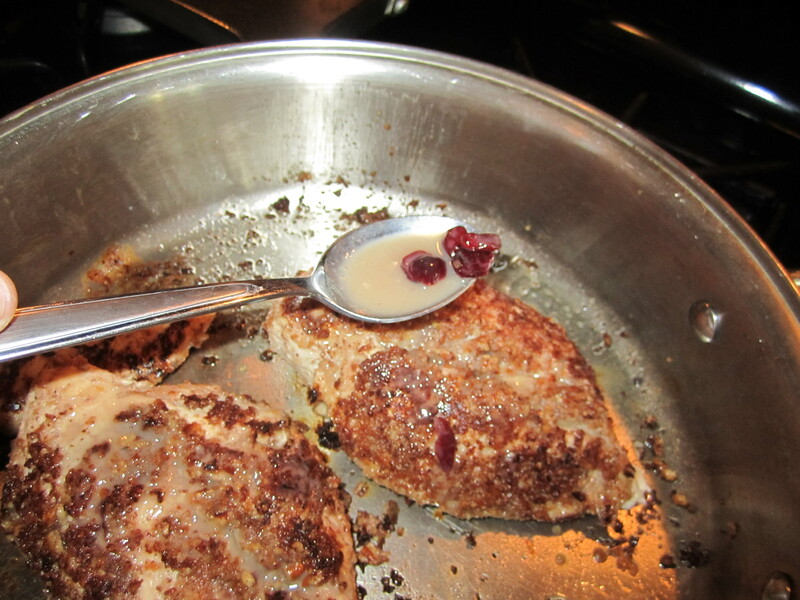 If you have a open bottle of Chardonnay open throw a spritz in the pan as well. Dont forget to take a swig for yourself, you earned it beautiful. 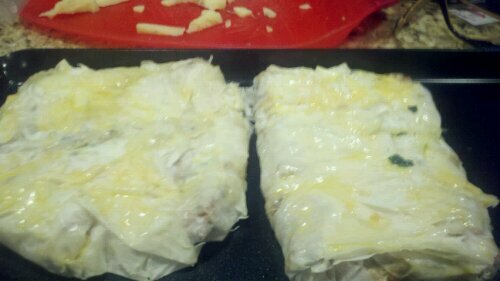 Next set up the plate with the asparagus and fish then drizzle with the blue cheese sauce. 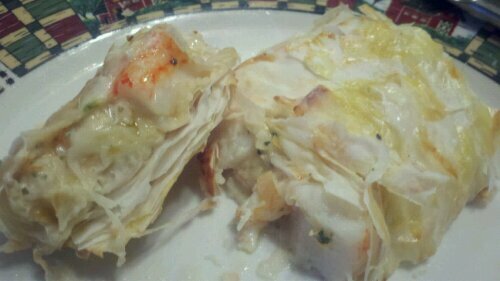 Tonight’s cooking experiment dealt with trip tip left overs, a couple random pieces of frozen shrimp / scallops and some late coded phyllo that I had to use before it expired. 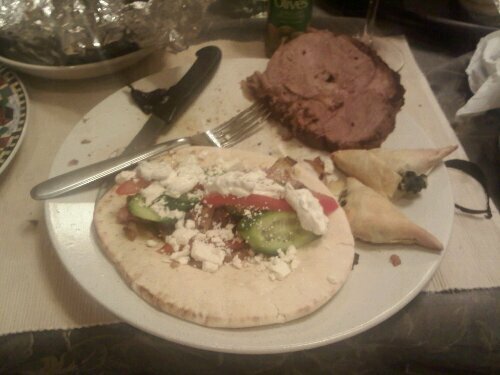 Last night’s slow cooked tri trip cooked in a Pepsi base was fantastic, so it will taste great in a faux neauvue phyllo Wellington. 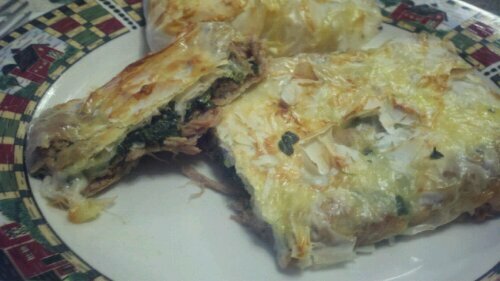 Since I am working with phyllo I decided to use the seafood looking to join a Brady Bunch style family of Wellingtons. 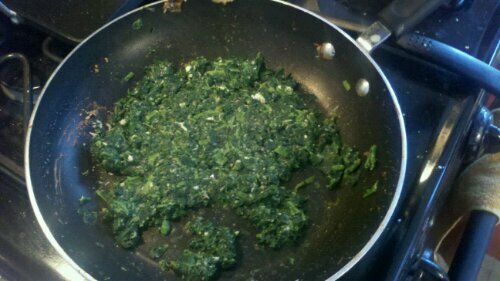 Frozen spinach, freshly grated parmesan, feta, pepper, garlic power. slightly pan toasted. 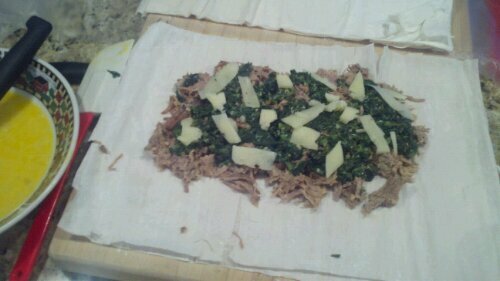 Folded the phyllo over into packets and rubbed down in an egg bath. 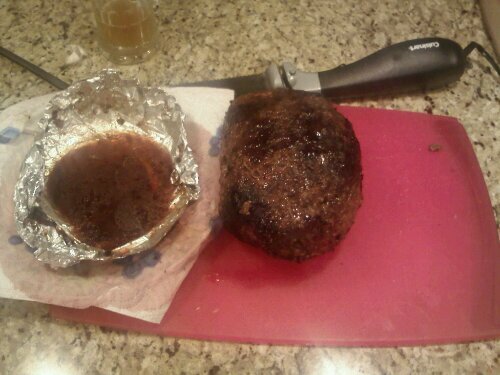 Placed on a roasting pan. 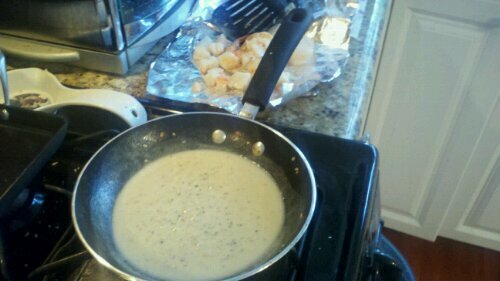 Pour a light layer of the seafood lemon alfredo on top of the fish.